screen is a groundbreaking home automation (IoT) solution to setting healthy limits on family screen time. The unprecedented technology can turn off ALL screen-based electronics – including phones/tablets, PCs, TVs and game consoles – from a mobile app that works both inside and outside the home; a parent can even “shut down” all devices in the home with a shake of his/her mobile phone from any location, whether it be the office or grocery store. 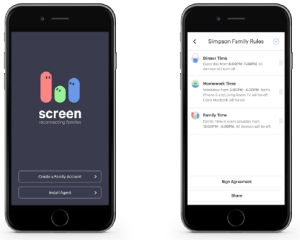 screen allows parents and caregivers to, together with their children, define, agree upon, schedule and follow family rules around screen usage. The screen solution creates more quality time for families that is screen-free and educates children about the importance of utilizing electronics such as phones, tablets, computers, TV and game consoles in moderation. 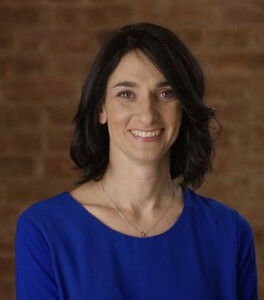 Screen’s creator, mom and software/hardware engineer, Tali Orad, is an entrepreneur and proud mom of three. Prior to founding screen she served as a lieutenant in the army reserve corps, pursued a career as a software engineer and founded a non-profit dedicated to educating parents about CPR after saving the life of her friend’s one year old son. Tali’s diverse professional background, coupled with her own life experience as a mother led her to create screen. The mission behind screen is to help families strike a healthy balance with their modern electronic devices via a home automation solution that can seamlessly reduce the amount of time spent online, with smart phones and tablets, computers, watching television and playing video games. Tali and her family live in New York.